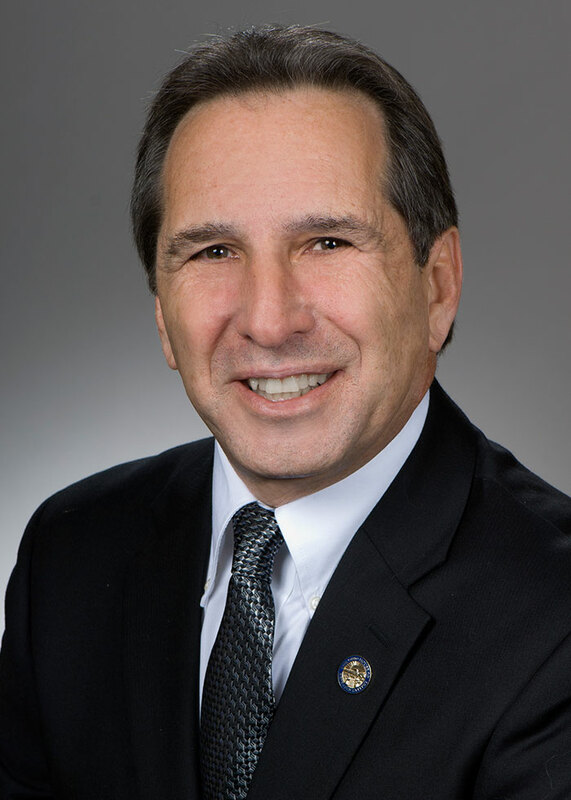 State Representative Jack Cera, a native of Bellaire, Ohio (Belmont County) first served in the Ohio General Assembly from 1983-1996. At that time, he represented Ohio House District 99, which encompassed Belmont, Monroe, Noble, and the northern part of Washington Counties. He returned to the legislature in 2011 when he was appointed to serve as the State Representative of then House District 95. With redistricting taking effect in 2012, he now represents Ohio House District 96, which includes all of Jefferson County, all of Monroe County, and portions of Belmont County. Cera’s experience and background have afforded him the opportunity to serve on various important committees throughout his tenure as a legislator. In addition to serving on almost every standing House committee, Cera has chaired select committees on Workers’ Compensation and Longwall Mining. He has also been a longtime member of the Coal Technical Advisory Committee and has served on the Board on Unreclaimed Strip Mined Lands. After leaving the legislature, Cera worked for the Belmont County Department of Job and Family Services as Workforce Development Director. Prior to his appointment to the legislature, he served as the Executive Director of the Jefferson Belmont Regional Solid Waste Authority. Rep. Cera previously served as a volunteer on various boards, including: The Belmont County Port Authority Board, The Belmont County Planning Commission, The Bellaire Public Library Board, The Bellaire Park District Board, The Bellaire Girls Softball Association and the East Ohio Girls Softball Association after leaving the House. Representative Cera is a 1974 graduate of Bellaire High School where he excelled in the classroom and on the football field. His 97-yard interception return for a touchdown was a school record for over 20 years. He was recruited to play football at Brown University, but his playing days ended after one year due to injury. He received his Bachelor of Arts in Political Science from Brown in 1978. Representative Cera is married to his wife of 30 years, Becky. They have two daughters: Jaclyn, a graduate of Waynesburg University with both a Bachelor’s Degree and a Master’s Degree; and Bethany, a student at the University of Charleston and member on the softball team. Recently, a son-in-law was added to the fold when his eldest daughter Jaclyn married USAF Captain Brent Yocum, a young man from Smithfield, Ohio. They currently reside in Texas. Representative Cera serves as a strong voice for his district and promises to be an advocate for economic development, local governments, education, health care, and Ohio’s working families and the elderly. As the Marcellus and Utica gas drilling activities continue throughout the district, Rep. Cera will continue efforts to maximize the economic benefit while protecting the local infrastructure, property rights, and environment. Previously, Rep. Cera worked with local officials on many water, sewer and road projects and will continue to advocate for the need to improve the district’s infrastructure. Rep. Cera was instrumental in starting the Roadwork Development Fund which directed gas tax funding to economic development for the first time and for the expansion of the flood warning system following the deadly floods of 1990. Representative Cera carries on the tradition of maintaining an open door policy during work hours at his Columbus office, and allocates Mondays, Fridays and evenings for meetings in the district.